String bikini styling. One color as pictured: premier dot print. Satin trim around the leg openings and waist. Seamless. 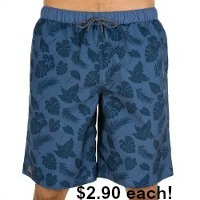 Single pair with hangtag, nylon-spandex body/cotton lining, prepriced at $11.50 each and up. Sizes 5-6-7-8.